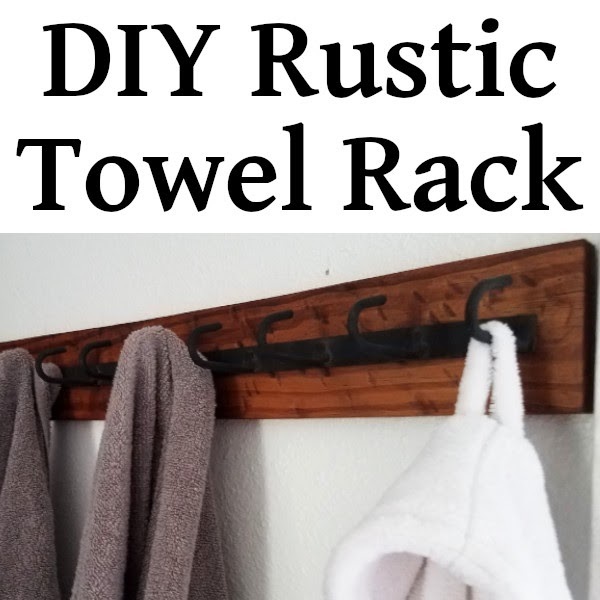 I spent around a year searching for the perfect towel rack for our master bathroom. However, it turns out that everything I needed to make my own was sitting right in my back yard the whole time. 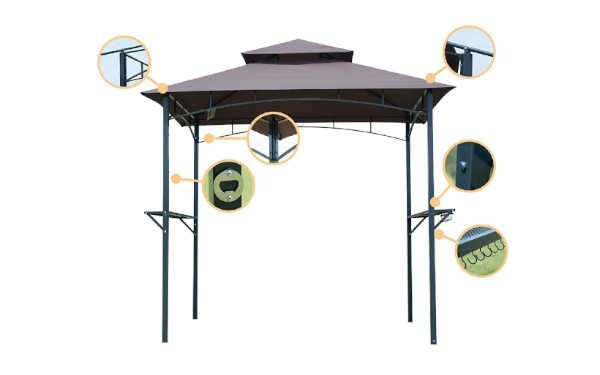 When we moved into our home there was an old gazebo on the back deck similar to the one pictured above (which can be found here on amazon). Only our gazebo didn't have a cover and was pretty beat up from years of use. Recently I removed the shelves and placed fencing on both sides, then I set entire thing at the entrance of my garden. I can't wait to see it next year completely covered in beautiful vines!! 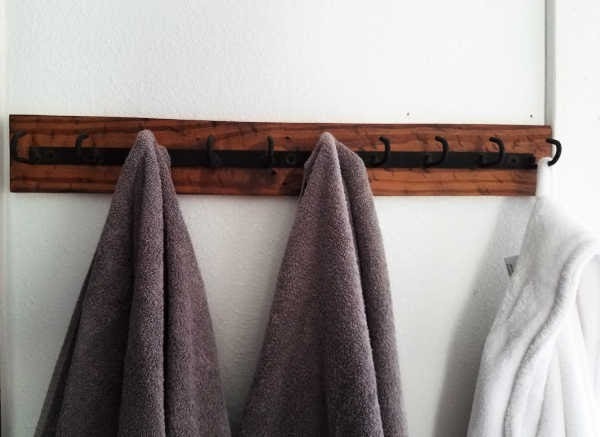 I've been on the search for some towel hooks to use in out master bathroom for some time now, but I just haven't been able to find any that I really like. While taking the shelves off of the gazebo, I noticed a row of hooks connected to the bottom of one shelf (see the circle in the bottom right corner in the photo above?). They had a very rustic and unique look to them and they were very heavy duty. In other words, they were perfect!! The wood board was from an old pallet that was sitting in our yard. After sanding it, I hit it with a hammer a few times to add dents to the wood and give the board a more rustic appearance. Then I stained it and applied a thin coat of polyurethane to protect it from any water. The entire piece fits perfectly between our shower and the door to the laundry room! 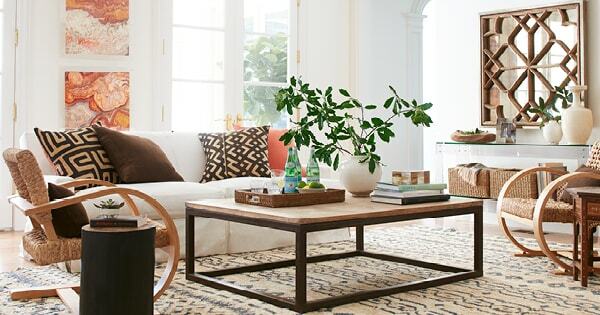 I absolutely love the the farmhouse / rustic look to it! 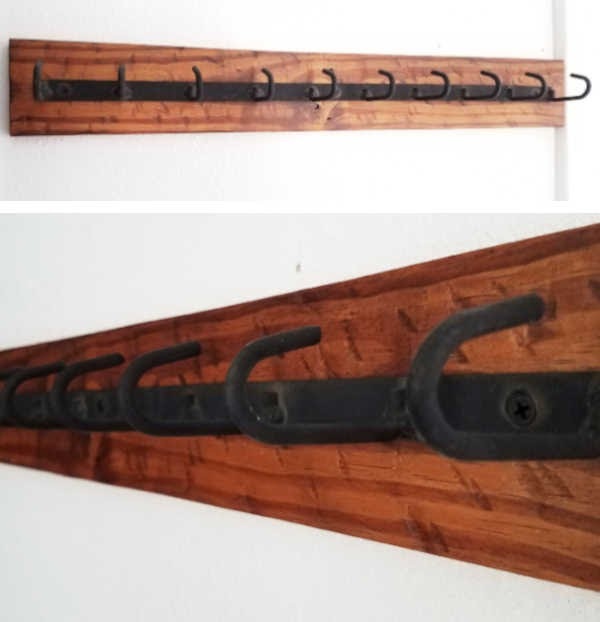 What unique home decor items have you created from items found in your own back yard? I would love to hear about them in the comments! !